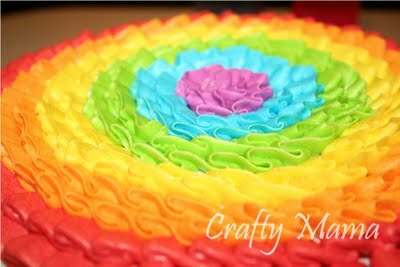 I dont' think i will ever get tired of rainbow themed birthday parties! Here are some fun ideas that I have seen lately that make me smile. 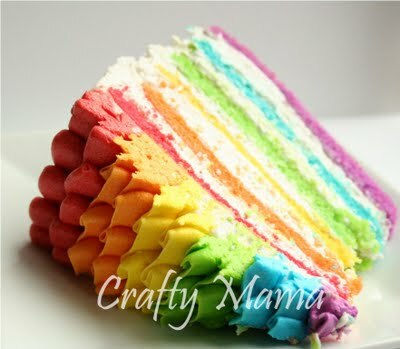 Crafty Mama, Katy, took the popular rainbow cake and frosted it with a beautiful rainbow ruffle. 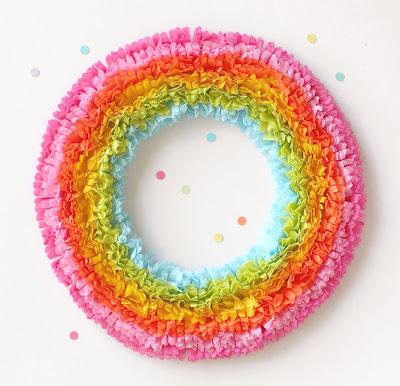 Lisa Storms created this beautiful rainbow wreath from crepe paper, and the technique she used would make some great rainbow streamers too! Don't these make you smile too? BEAUTIFUL! i love the cake. it's so detailed. perfect post for a smile! just what i needed today, thank you! I love that cake!!!!!!!! 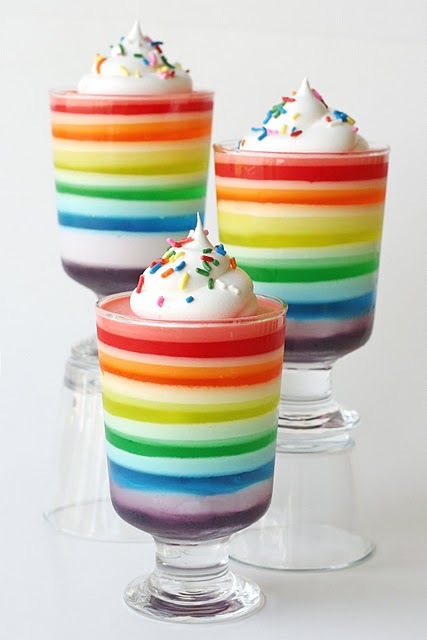 This post reminded me of another rainbow treat I saw recently. 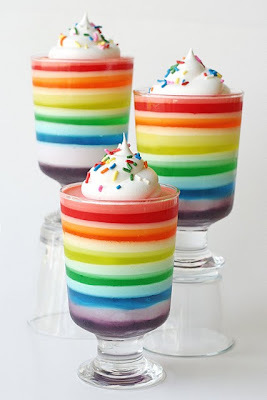 Okay so I tried making the rainbow jello for a Christmas get together. As I was adding the second color of jello to my "mold" the cream floated to the top instead of staying under the new jello color. What did I do wrong? Thanks for your help!